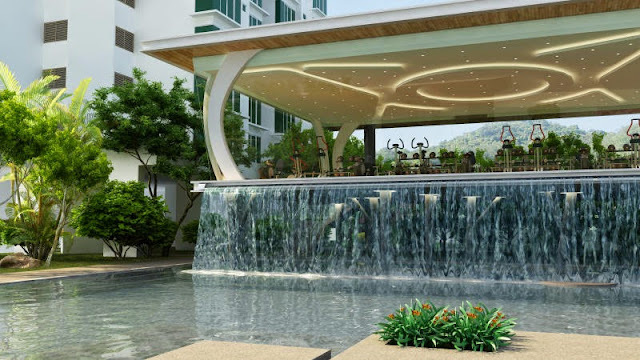 Upholding a philosophy that is true to its name, Asia Green Propert Development focuses on building premier homes that reconnect residents with the wonders of nature. A subsidiary of Asia Green Group, the company prides itself as a boutique developer renowned for exquisitely crafted projects both on Penang island and the mainland, like Asia Heights, Asia Homes, Mandarin Quarter, Asia Hills and Hilltop Villas. 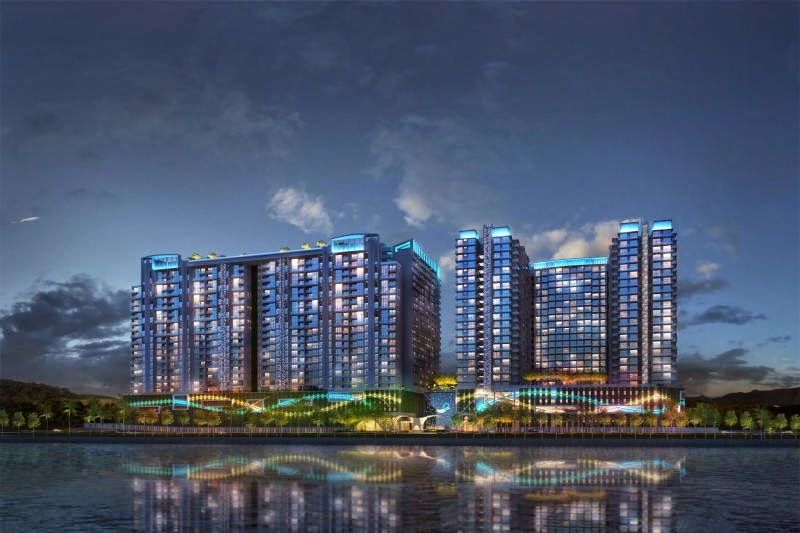 For the upcoming Star Property Fair 2014, it will feature The Clovers, a freehold condominium development strategically located in Sungai Ara, just minutes away from the Penang International Airport. Asia Green Group creative director Tan Li Mei said the quartet of 42-storey towers, scheduled for completion in early 2017, will consist of 892 units, with prices ranging from RM450 psf onwards. Typical units range in size from 776sq ft to 1,633sq, while the 24 penthouses are luxuriously spaced between 1,875sq ft and 2,907sq ft. Each is served by two private lifts, offering direct and convenient access to individual units. The amenities there include three swimming pools (leisure, Olympic lap and children’s), a jacuzzi, large rooftop garden, forest tracks, floating gym, kids’ play area, basketball court, barbeque area, as well as dance, game and entertainment rooms. Tan likened the development’s concept to the idiom, ‘to be in clover’, which means living a pleasant and carefree life of ease, comfort and prosperity. “We at Asia Green decided to sculpt this clover. The building design is inspired by its elegant form, and like our previous projects, it will have manicured landscapes and massive green wall features that celebrate nature. “The layout maximises sea, mountain or pool views for the respective units, and also encourages cross ventilation through all rooms in each unit,” Tan said, adding that the development also comes with CCTV security system and card-only access. In another upcoming freehold development, QuayWest Residence, those yearning for an upscale waterfront lifestyle, will find the home of their dreams. Located along Persiaran Bayan Indah near Queensbay Mall, it is conveniently nestled between Penang Bridge and the second Penang bridge. The two 24-storey blocks are estimated to be complete by mid-2017. Units range in size from 1,246sq ft onwards up to 1,892sq ft for a bungalow-like duplex, and priced between RM680 and RM760 psf. Similarly, it also boasts two private lifts offering direct access to units. “Some units will feature a dual-keys concept, which is essentially two houses in one. Owners can use one for their own stay and rent out the other. “Families may also opt to let their elderly parents stay in the adjoining unit. “This keeps them close, but also affords both parties privacy,” Tan noted. She added that the units’ innovative designs will also give homeowners the feeling of living in a landed property. “Both The Clovers and QuayWest Residence are strategically located in blooming areas with new developments, offering good accessibility. They are also reasonably priced in the current market,” Tan added. To find out more about its projects, visit booth N2 at Gurney Plaza’s New Wing Atrium during the Star Property Fair 2014 from July 24 to 27. The Star Property Fair, currently in its 12th edition, is the premier property showcase in the northern region, and will be held simultaneously at Gurney Plaza and the adjoining G Hotel from July 24 to 27, from 10am to 10pm daily. The event partner is Zeon Properties Sdn Bhd. Exhibitors will be showcasing various local and foreign properties, while there will also be talks and forums conducted by specialists in their respective fields, to provide visitors with useful information on various property-related topics. Visitors to the fair can also look forward to winning iPad Minis, Samsung tablets, mountain bikes and gift vouchers daily, by taking part in the Dip & Win Property Fair contest, sponsored by Ivory Properties Group Bhd.